October 21, 2015. The day when Marty McFly and “Doc” Emmett Brown landed in their tricked-out DeLorean time machine; bursting through clouds high above the futuristic town of Hill Valley and narrowly avoiding obliteration by a flying taxi. A fast-paced science-fiction adventure and a global cultural phenomenon, fans continue to be drawn to the Back to the Future trilogy just as Marty’s evil nemesis Biff Tannen seems to be drawn to trucks piled high with manure. The second film, first released in 1989, presented an imaginative vision of life in 2015. It was a world of flying cars on busy skyways, robotic waiters, Max Spielberg directing giant 3D shark holograms in Jaws 19 (“This time, it’s really personal”) and kids in garish clothing darting around the town on that most covetable of futuristic devices, the hoverboard. All realised on film before the digital age of cinema. Do we recognise today in the film? How much did the ideas in the film inspire actual technological advances? And most importantly, where are our hoverboards? The University of Melbourne’s Professor Angela Ndalianis, from the School of Culture and Communication, and Dr Denny Oetomo, from the Department of Mechanical Engineering, have the answers. Professor Ndalianis says Back to the Future II was so successful in capturing the audience’s imagination because it showed an accurate vision of the future. “The film was close enough to the present to make the predictions about the future strike a chord, both for comic effect but also in terms of asking us to recognise and engage with the possibilities of the future it creates,” Professor Ndalianis says. “The films had a great influence both cinematically and culturally. The director Robert Zemeckis has always pioneered cutting edge special effects technologies. Professor Ndalianis said watching Back to the Future in 2015 allows us to see fictions that became our reality, such as tablets, wall-mounted flat TV screens, mobile payments, home automation, social networking, smart watches, wearable technology and video conferencing. Dr Oetomo agrees there is a lot Zemeckis and screenwriter Bob Gale correctly predicted. However he says we’re not going to be whizzing to work on hoverboards just yet, in the way the film portrays. “Hoverboards do exist in some form already, but at the moment they can only work on a specially built floor or rail, not on the open ground, as they do in the film. 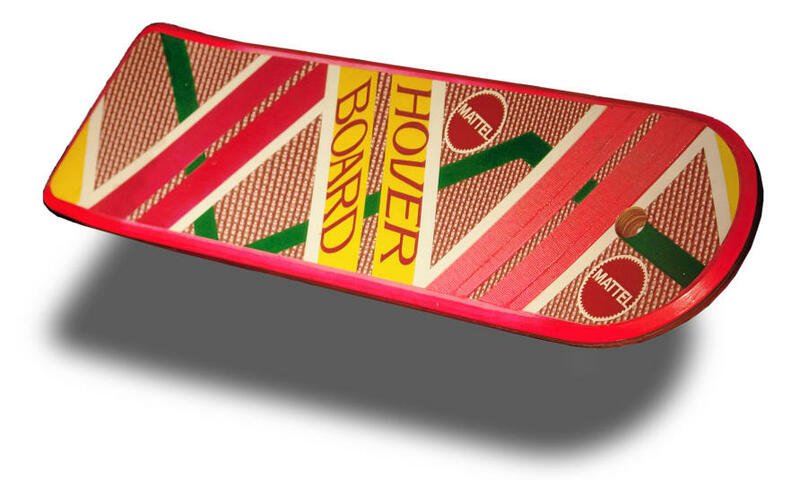 “A hoverboard does not have to be constrained to a floor or rail to operate through a magnetic medium. “We could look at alternative means of creating the hover or levitation effect, such as air thrusters,” says Dr Oetomo. “In the current devices, such as the Hendo Board or the Lexus Hoverboard, you have to generate your own magnetic field on the hoverboard, and another on a surface to push against. This is done through induction or by using a superconductor in the devices. On landing in 2015, “Doc” proudly shows off his new youthful appearance, achieved with the help of “medical rejuvenation” and blood replacement. Dr Oetomo notes our surgeons and biomedical engineers are already pioneering revolutionary techniques that are improving human lives. Two innovations from the film that sparked the imaginations of fashion geeks were Marty’s size-adjusting jacket and Nike sneakers with “power-laces”. 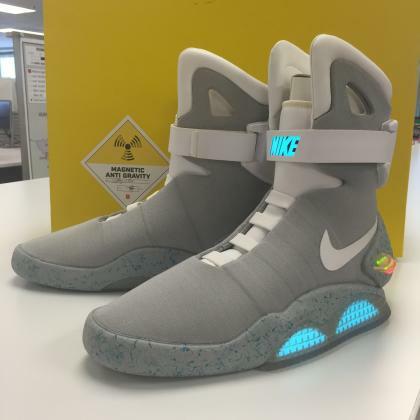 Nike has indeed confirmed that the release of ‘AirMAG’ power-laced kicks is imminent. Dr Oetomo says that advances in polymer technology would make size-adjusting clothing and self-lacing shoes a possibility. He said the reason we may not see widespread use of some of the imagined technology of Back to the Future is more a matter of prohibitive cost, rather than our ability to create these products. Professor Ndalianis said given the current state of special effects, films and television shows are a powerful means of imagining the future. These imaginings have had a dramatic impact on scientists for decades. “Science fiction cinema in particular has always had a strong impact on the future, especially in terms of its predictive power to visualise what the future might look like,’’ Professor Ndalianis explains. Steve Jobs has credited the 1968 film and book 2001: a Space Odyssey – which visualised the tablet computer – as the main influence for the iPad. In 2002 Minority Report visualised a screen viewing system that had a gesture-based user interface - this was well before Kinect, touchscreens and motion sensing systems became common. Professor Ndalianis and Dr Oetomo agree that Back to the Future II correctly predicted much of our present. If “Doc” and Marty were to drive their Delorean another 30 years into the future to 2045 what might they find? Professor Ndalianis predicts they would find technologies that are even more integrated with us than our permanently affixed iPhones.